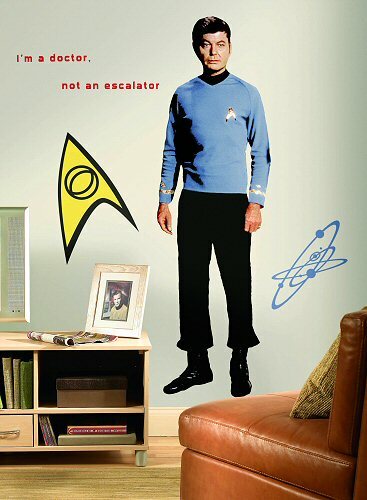 Transform your child's room into the ultimate Star Trek haven in just minutes with this awesome Star Trek Dr. McCoy giant wall decal. 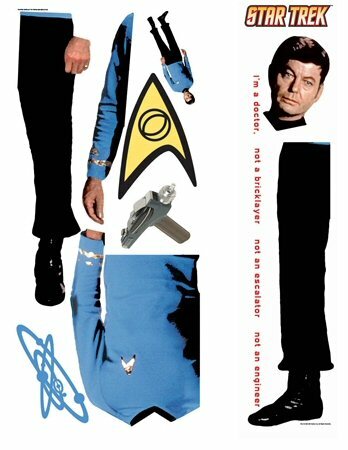 Complete with 6 cool accents, including a smaller-scale Dr. McCoy wall decal and 3 versions of Dr. McCoy's favorite phrase... "I'm a doctor, not a...," this fabulous RoomMates peel and stick Star Trek Dr. McCoy mini mural set is a must for Star Trek fans of all ages. 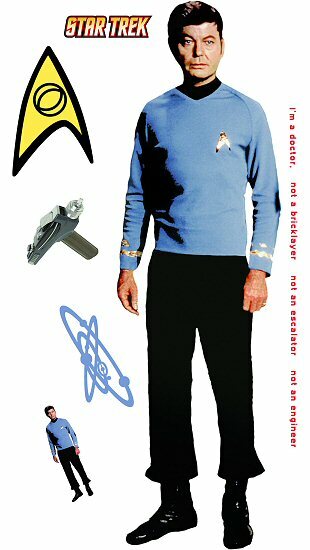 Our Star Trek Dr. McCoy peel and stick giant wall decals (also known as peel and stick murals) are repositionable, removable, re-usable, and washable... the perfect combination for decorating the bedrooms and playrooms of kids. This RoomMates Star Trek Dr. McCoy repositionable giant wall decals set offers decorating ease with no damage or residue to the surface. Note: ™ & © CBS Studios Inc.